Last Friday evening we hosted our very first meditation evening in the lovely venue of Thames Tunnel Mills which overlooks the river in Rotherhithe London. We were particularly honoured because Lama Lobsang who is the emissary of the Dalai Lama in Europe came to host our meditation gathering. The energy in this area of London is amazing so it is the perfect spot for this to take place. The building stands next to the well-known Mayflower Pub, near to the landing steps where the Pilgrim Fathers set sail on the Mayflower on its journey to the New World. This zone is also where between 1825 and 1843 Marc Brunel and his son Isambard built the very first tunnel under a navigable river. The tunnel which is 1,300ft long and runs 75ft under the Thames between Rotherhithe and Wapping is a marvel of Victorian engineering. I see the area as a place where new and exciting things can happen. 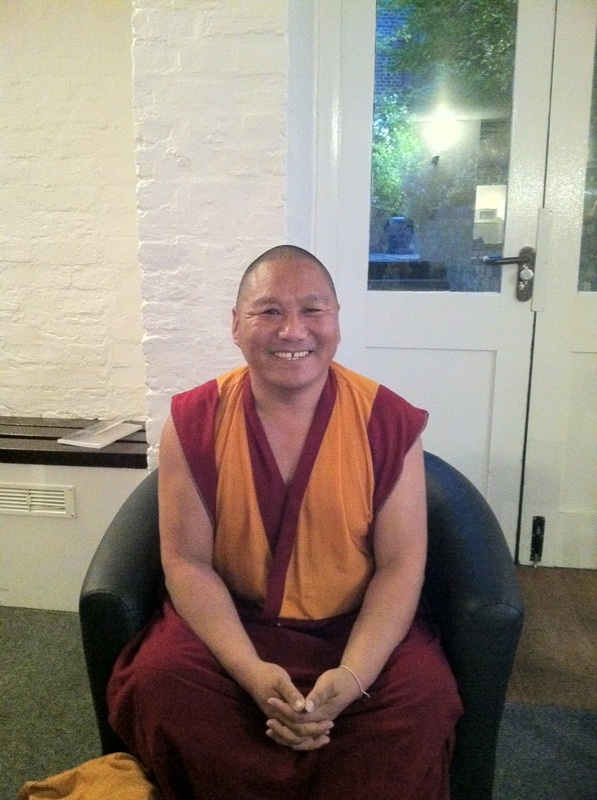 Lama Lobsang is a quiet unassuming man with an amazing energy and a beautiful smile. We picked him up off the Mega Bus at Victoria Bus station and asked him if he would like to go out for a meal. He insisted that he was not hungry and all he really wanted was a cup of English tea. Therefore we decided to go straight to the venue so he could have a drink and relax a bit before the evening began. So tea it was, which he drank with great pleasure whilst telling us it has now become his favourite drink. The windows in the venue were already wide open so whilst admiring the view over the water, Lama Lobsang began talking to two Canada geese who seemed to be watching him from the river. He asked if he could give them some of the ginger biscuits, provided for him, and then proceeded to have great fun feeding the geese from the window. He was a delight to watch, chuckling and talking to these big playful birds. This is the man who was captured and tortured by the Chinese. He has lost the use of one eye and describes how electrodes were put into his mouth. Yet he holds no bitterness towards his captors and says that his only fear was that he would lose his compassion. He began the evening by telling the group how he had recently been in Cambridge with the Dalai Lama and what an honour it was to be in the presence of such a great leader. He then talked about some of his Buddhist beliefs. Everybody in the room listened attentively, and though I know of only two actual practising Buddhists who were there that night it really didn’t matter what religion, if any, anyone followed. The audience was captivated by his energy and his smile. As Lama Lobsang played the singing bowls and chanted we were all aware of being in the presence of someone really special. I think everyone who was in that room last Friday experienced something different, but the energy was tangible. We thank him so much for coming to spend time with us and as he has promised to come back again, I think I am right in saying, on behalf of everyone who was present that night, we can’t wait…..